A hand stitched brush made of strong dark horse hair with a waxed beech stock. 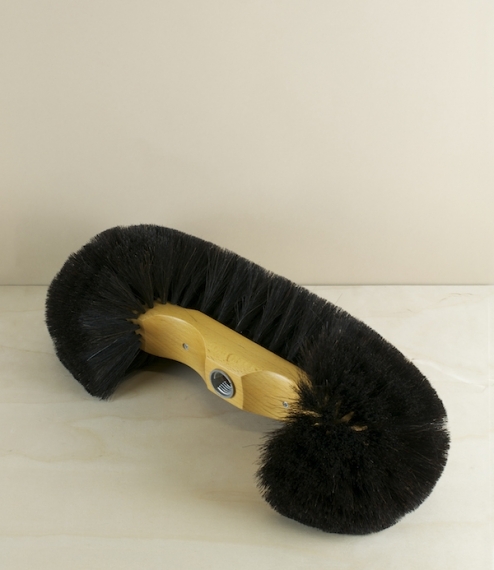 The 'Vienna' broom is ideal for use on wooden or hard floors, or as a cobweb dusting brush. The curved ends help prevent damage to skirting boards, walls, or cornices and allow for easier dusting or sweeping into corners. Supplied without a handle, but with a German threaded adaptor for standard wooden broom handles handles. Handmade by a German company who have been making similar brushes using traditional methods since 1935.